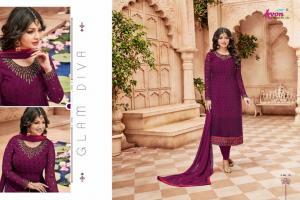 Star Brasso Catalog : Beautiful 6 Embroidery Designer Salwar Suit By Avon Trendz . Latest Wholesale Salwar Suit Avon Trendz Star Brasso Full And Single Suit Catalog By Avon Trendz At Wholesale Price Surat. We Provide Single And Full Catalog Avon Trendz Star Brasso Wholesale Catalog Collection .